If you are travelling abroad please make sure you contact us in plenty of time to arrange any vaccinations that may be necessary. 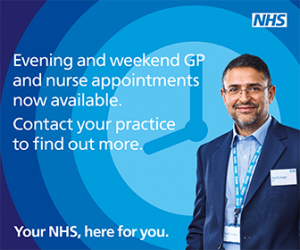 To help the Travel Nurses assess your travel needs it is important that they are in receipt of the assessment form in plenty of time before your journey and that you book an appointment 8-10 weeks in advance. Please write your name. I confirm I am fit and well. I have no reason to think that I might be pregnant. I give my consent to the vaccines being given. Certain vaccinations/courses will incur a charge, payment must be made prior to administration. N.B. If malaria tablets are required there is a separate private prescription charge. Please make your appointment at least _________ weeks prior to travel in travel clinic.